How many times have you settled for a smiley face when what you really wanted to send was a picture of a tiny Frappuccino? 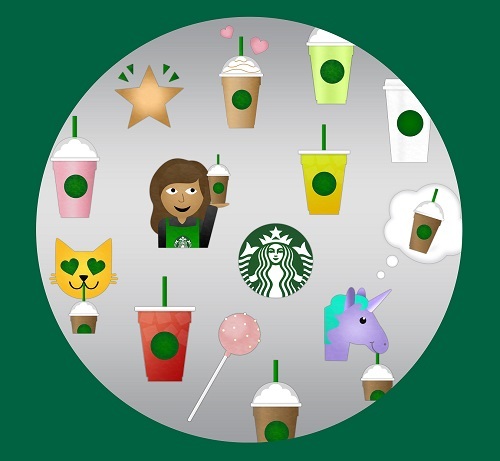 Even if the answer to that question is “none,” you will never have to settle again because Starbucks has just released an emoji keyboard full of tiny Starbucks-related graphics that you can insert into any text on your iPhone or Android device. The keyboard includes a variety of drinks, snacks and other goodies. The unicorn drinking a Frappuccino just might be my favorite, but there is something for everyone.